Need help with your fly fishing casting? When Fly Fishing, the most important thing to get right is your casting technique. Casting a Fly Rod is important to your success as a Fly Fisherman and is important to help you catch fish! On this page do’s and don’ts will be discussed as well as the difficult to pick up fly casting technique, guided by pictures. 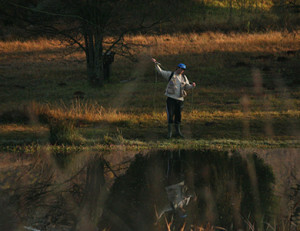 Another 3 things are important in learning how to cast a fly fishing rod, perseverance, practice and patience! It will be frustrating and will require long hours of practice and slapping the water but once you have got it right, it will stay with you forever! Keep your fly fishing rod and reel in good condition.